As you may already know Oracle Solaris 11 is coming around about this time next year (I'm guessing @ 11:11 on 11 Nov '11 - NOTE: I have NO knowledge of the actual release date) and to help you prepare for the change and get you up to speed, Oracle has released the first build of Oracle Solaris 11 Express 2010.11. So what is Oracle Solaris 11 Express? Essentially what would have been OpenSolaris 2010.11 had it been released. If you've played with OpenSolaris it's the same thing, just 18 builds later (the last public dev OpenSolaris build was 134 and the first Solaris 11 Express build is 151a) with new functionality and Oracle branding. If you've not played with OpenSolaris, then Solaris 11 Express is going to be quite a radical change from what you're used to so it's best you get playing NOW. 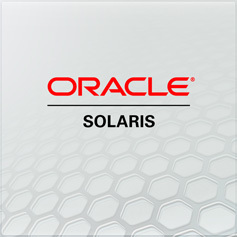 You can grab a copy of Oracle Solaris 11 Express 2010.11 right now from the download page. The "What's New" guide is available too, and you DO want to read this if you've never used OpenSolaris before. Oh yes, and if you've already got a Oracle Premier Support for Operating Systems support contract, you've already got full production support for Oracle Solaris 11 Express.